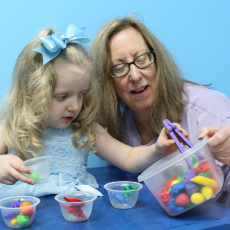 Located in Little Rock, Ark., Easterseals Academy at Riverdale is a private school and outpatient therapy clinic that offers services to students with developmental disabilities in the central Arkansas area. 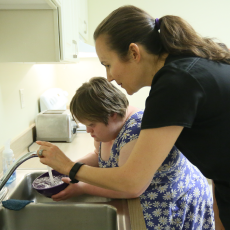 To provide exceptional services to ensure that all people with disabilities or special needs have equal opportunities to live, learn, work, and play in their communities. 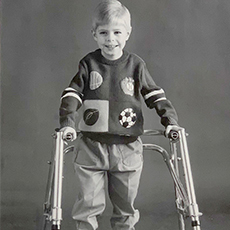 The purpose of Easterseals Arkansas is to change the way the world views and defines disabilities by making profound, positive difference in people's lives every day. At the Academy, we ENCOURAGE the students, ACCEPT their individuality, and LOVE unconditionally. The Academy is eligible to participate in the Arkansas Succeed Scholarship program, which provides scholarships for students with disabilities. We offer small class sizes allowing every student to receive the attention and support they need to work toward their potential. In addition to challenging academics, the Academy also encourages students to develop socially and emotionally with an emphasis on appropriate social and life skills growth. 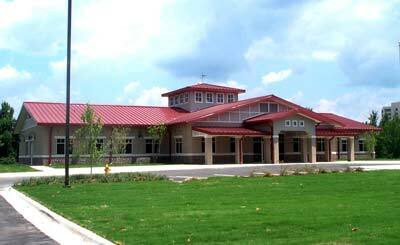 Outpatient therapy services are also available on site. We work with a variety of private insurance providers as well as ARKids 1st, Medicaid, TEFRA, and TRICARE.